When it comes to promoting their hardware, Kobo has long adopted the policy of playing hard to get. For the longest time their ereaders and tablets were only available in the US from indie booksellers or directly from Kobo, but that is slowly changing. In late December Kobo devices showed up on the Best Buy website, and this week they made an appearance on Walmart's website. Neither retailer is carrying the devices in store, but you do now have the option of placing an online order and having it shipped. Walmart is now carrying the Kobo Arc 10HD, Arc 7, and Arc 7HD Android tablets and the Kobo Glo, Aura HD, and the new Aura ereaders. They are also carrying cases for the tablets and ebook readers. It looks like Walmart may have just started getting the devices in stock, because some of the prices are ridiculously high. Several of the tablets are priced far higher than retail, and that is just something Walmart doesn't do. 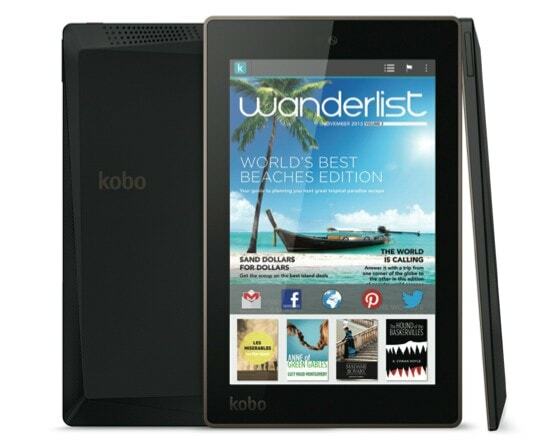 If you are looking to get a Kobo device soon, I would go to the Best Buy website. They have the correct prices, and they also offer decent customer service and a fair return policy. True, I have found Walmart to be nicer to deal with than Best Buy, but so long as Walmart's prices are screwy it is best to avoid that retailer.